ExGo takes all of the features Advanced is famous for and delivers them in an easy to use, easy to install and easy to trust extinguishing control system. 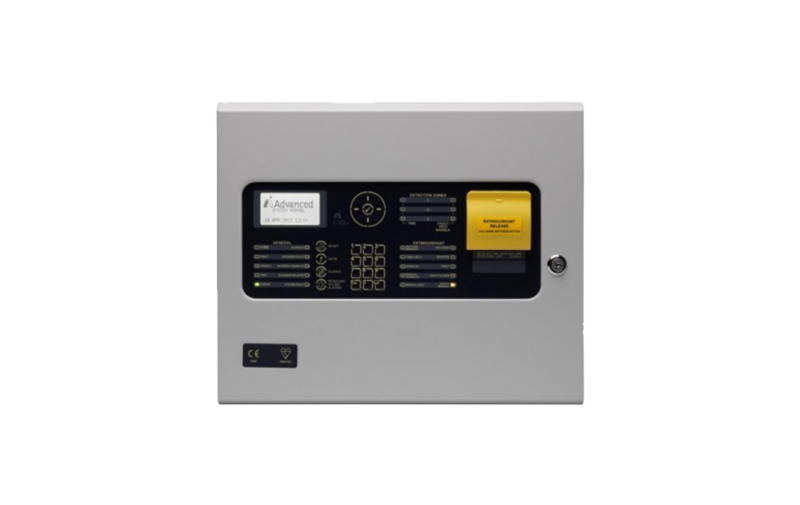 The ExGo system includes a main control panel and a range of panels and devices including repeater units, hold and abort buttons and active end of line devices. As with all Advanced products, it is very easy to install, with a removable chassis and PSU and 30 enclosure knockouts. All programming is carried out at the control panel via a simple and intuitive menu structure and LCD screen. All of the sensitive circuits are analysed and configured by the panel menu system, with no direct adjustment of electronic components required. The specific nature of faults are displayed to aid diagnosis. A time-stamped log tracks all activation events and can (along with all panel settings) be downloaded to a PC tool for reference, storage, filtering and printing. Onboard diagnostics can be accessed from the panel menu and all test modes and disablements easily controlled.